Proposals for an Ulster-Scots academy have been condemned as misconceived, divisive and a potential threat to the future of the language. The Ulster-Scots Agency says that those behind the academy were misguided and did not understand what the Ulster-Scots language actually is. The academy would have been responsible for the promotion of the Ulster-Scots language. In a leaked document, the agency said that Ulster-Scots is a variation of the Scots language spoken by people in Northern Ireland. 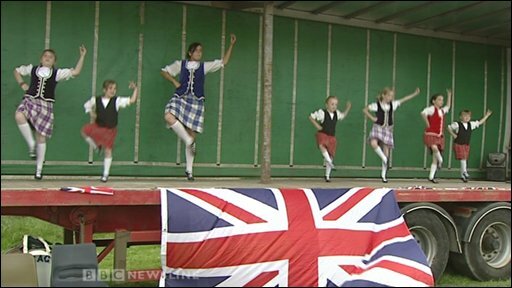 It accused the academy of wrongly promoting Ulster-Scots as a language distinct from Scots. "The implementation group (of the academy) seem to be planning to be concerned with a language separate from Scots, which they are calling Ulster-Scots, though this appears to be something distinct from the language variety traditionally spoken in Ulster," the document states. It says the business case including plans for the academy to be a private limited company is flawed. "The terminology used in the business plan give cause for very considerable concern about the danger that an academy as envisaged in the business plan would seek to 'privatize', elaborate and perhaps even profit from a language which should be the birthright of anyone who wishes to learn it or speak it," it said. The agency concludes that if the plan is implemented as it stands it would be extremely unpopular and regarded by the public as a waste of resources. The BBC has already revealed that a secretariat set up to aid the work of the academy was shut down in June. Shortly before, the most senior civil servant in the Department of Culture, Arts and Leisure (DCAL), Paul Sweeney, wrote to the chairman of the Academy Implementation Group, Dr Philip Robinson. In the letter, he said that he shared Dr Robinson's frustration at the slow progress towards setting up the £12m project. Mr Sweeney also pledged to employ consultants from Deloitte to "freshen up" the business case. In its response to the latest revelations, DCAL said it would be inappropriate for the minister responsible, Gregory Campbell, to comment on one aspect of the public consultation. "The minister will consider a range of options and recommendations arising from the refreshed business case, and thereafter provide direction on the way forward for the establishment of an academy," it said.